Punta Cana, Dominican Republic. For the second year running, Puntacana Resort & Club will serve as the host organization for the PGA TOUR in the Dominican Republic, the main American professional golf circuit for men. The 2019 Corales Puntacana Resort & Club Championship will be held at the Tom Fazio-designed Corales course from March 25-31, where more than 132 professional players will have the chance to earn FedEx Cup points and carry a purse of US$3 million. The first edition was celebrated on March 19-25, 2018 where the American Brice Garnett was awarded as the great winner. The tournament hosted professional players, such as Davis Love III and Jim Furyk, and the former Dallas Cowboys player Tony Romo, who participated as a sponsor’s exemption. 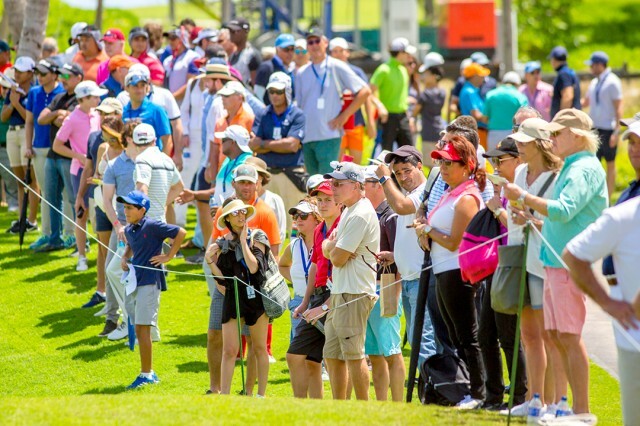 Golf fans, homeowners, sponsors, press and guests were all part of this event, which had an attendance of over 20,000 people and a total reach of one billion spectators in 226 territories of the world through local and international networks such as NBC and Golf Channel. By a four-year agreement, Puntacana Resort & Club will continue to serve as the host in the Dominican Republic for this high-status tournament. Opened in 2010, Corales is an exclusive and dramatic 18-hole course with six Caribbean ocean-side holes. Located along the natural cliffs, bays, ocean coves and the inland lakes and coralline quarries, this course rates among the world’s finest golf experiences. The exhilarating challenge culminates playing the Devil’s Elbow, Corales’ last three holes. The Devil’s Elbow features the striking eighteenth hole with a dramatic forced carry over the cliff lined bay of Corales, an inspired capstone to a memorable and breathtaking golf experience. The development of Grupo Puntacana dates back to 1969 when Dominican businessman Frank R. Rainieri and Theodore W. Kheel, the late prominent New York attorney and labor mediator, created a partnership to construct a resort and real estate community that respects the natural habitat of Punta Cana while offering a world-class vacation experience. Maintaining a dedication to sustainable tourism, Puntacana Resort & Club has since grown to encompass over 26 square miles and now includes luxury hotel Tortuga Bay; The Westin Puntacana Resort & Club; the Four Points by Sheraton Puntacana Village; the Six Senses Spa; Oscar de la Renta Tennis Center; the Grupo Puntacana Foundation; six residential communities (Corales, Hacienda, Hacienda del Mar, Marina, Arrecife and Tortuga); eight restaurants; a shopping village; 45 holes of championship golf over two golf courses; and Punta Cana International Airport, a modern facility that incorporates innovative and eco-friendly design. Currently, Punta Cana is the most highly visited Caribbean destination and is easily accessible from all over the globe. For more information on Puntacana Resort & Club, visit www.puntacana.com. The PGA TOUR co-sanctions more than 130 tournaments on the PGA TOUR, PGA TOUR Champions, Web.com Tour, PGA TOUR Latinoamérica, Mackenzie Tour-PGA TOUR Canada and PGA TOUR China. Its members represent the world’s best players, hailing from 24 countries (86 members are from outside the United States). Worldwide, PGA TOUR tournaments are broadcast to more than 1.1 billion households in 227 countries and territories in 23 languages. Virtually all tournaments are organized as non-profit organizations in order to maximize charitable giving. In 2016, tournaments across all Tours generated a record of more than $166 million for local and national charitable organizations, bringing the all-time total to $2.46 billion.